One of the biggest challenges and operating costs that data centers face is effectively cooling the facility. With several servers and peripheral electronics, a facility can generate a lot of heat. Too much heat can affect performance and even destroy delicate machinery, resulting in unnecessary downtime with security issues, financial losses, and customer dissatisfaction. With such high stakes, it’s imperative to effectively cool the facility; but, how can you cool your data center as efficiently as possible? Incorporating a water-side economizer system into your operations can be the perfect solution for extending the life of your chiller plant and overall, increasing energy efficiencies. What is a Water-Side Economizer System? 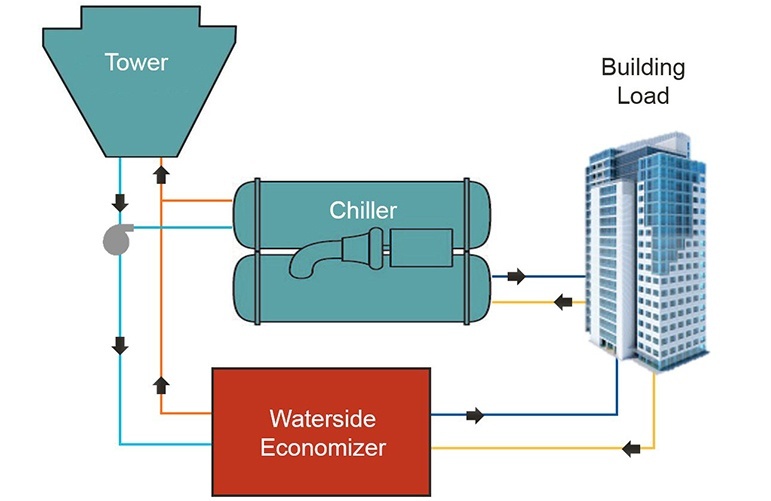 A water-side economizer is an energy-efficient system that uses the evaporative cooling capacity of a cooling tower to generate chilled water. Through this capability, water-side economizers can provide chilled water independently of a plant chiller. Any facility in climates where the wet bulb temperature is below 55 degrees for at least 3,000 hours annually can benefit from a water-side economizer system. How can a Water-Side Economizer Replace or Integrate with my Chiller Plant? You can implement a water-side economizer in your operations that is either independent or integrated with your chiller plant for energy savings. A water economizer system can harness the power of cold outdoor air temperatures during specific parts of the year to provide the same effects as a plant chiller, but at a lower energy cost. In these cases, you can eliminate the need for mechanical cooling from a plant chiller. Or if your plant chiller goes offline or requires maintenance, a water economizer system is a viable backup solution to avoid downtime. Integrating a water-side economizer system with your chiller plant can still provide energy efficiencies. The system will use the outdoor temperatures to pre-cool the water before it reaches your chiller, reducing the amount of energy required from your machine. Either water economizer utilization can provide countless benefits to your operations, in both money and energy efficiencies. A standard plant chiller can cost up to $600 per ton, not to mention the routine costs of operating and maintaining a chiller for its approximate 20 year lifespan. With such a high expense level, reducing the use and cost of a plant chiller can save your operations countless dollars. The costs of a chilled water plant can be reduced up to 70% by utilizing a water-side economizer system. Retrofits in California have even shown one- to four-year paybacks from their economizer systems. Energy efficiencies aside, having the ability to power down your plant chiller during significant portions of the year can reduce the wear on your chiller, and lead to a longer lifespan of the machine. Whether you’re wanting to replace your mechanical cooling systems throughout the year or want an integrated system to reduce energy cost, a water-side economizer system can use the outdoor temperatures to cool your facility for much less. As a leading commercial HVAC mechanical services company, we’re passionate about serving the data centers in the Piedmont area of North Carolina and Virginia. Our commitment to energy-efficient technological solutions means that we are consistently finding the best opportunities to save your operations time and money. Learn if your operations could benefit from a water-side economizer system with our HVAC operational assessment, which identifies your facility’s unique needs with custom HVAC solutions. For additional energy optimization opportunities, we offer several products and services to maximize your building’s energy efficiency. 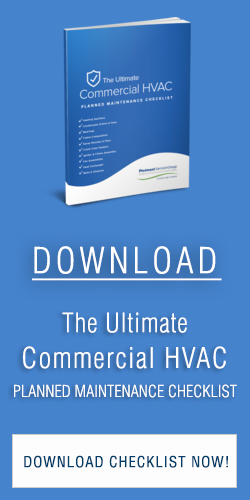 Find any additional Commercial HVAC information, recommendations, or utilizations at the Piedmont Service Group.